Congratulations to Megan Fowler for putting together an award-winning presentation. At the two-day Signals NZ User Group (SNUG) workshop in Christchurch, Axel Wilke presented on legal issues that Separated Bicycle Facilities experience at traffic signals. The SNUG committee awarded "best technical presentation" for this contribution. Well done, Megan! 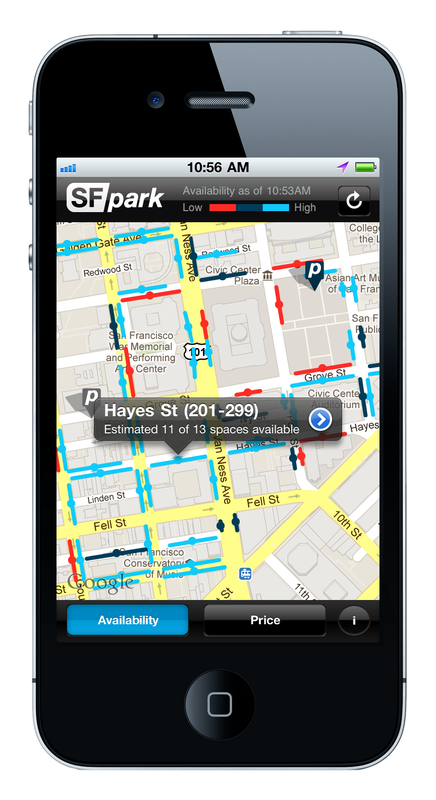 You have a primary goal of making it easier for drivers to find a park. Your secondary goals are reducing traffic in search of a car park, double parking, greenhouse gas emissions, and parking infringements. And you want the public and retailers to accept and respond well to fundamental changes to parking management. Impossible? They've done it in San Francisco, and ViaStrada can achieve this for you in New Zealand. Talk to us. 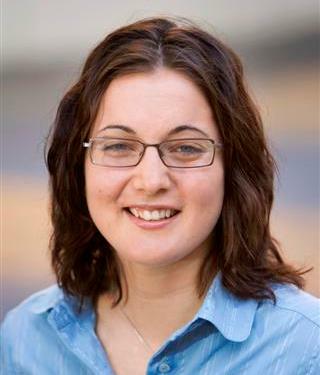 We are very happy to announce that Megan Fowler has returned to Christchurch and will be starting work back at ViaStrada on 1 July 2014. Megan left New Zealand in March 2010 to explore new and different opportunities in France. Prior to that she was a key member of the traffic engineering and transport planning team, working on a number of projects from policy to practice, in land use and especially transportation. We look forward to working with Megan again at ViaStrada and expect that she will receive a warm welcome back into the industry. 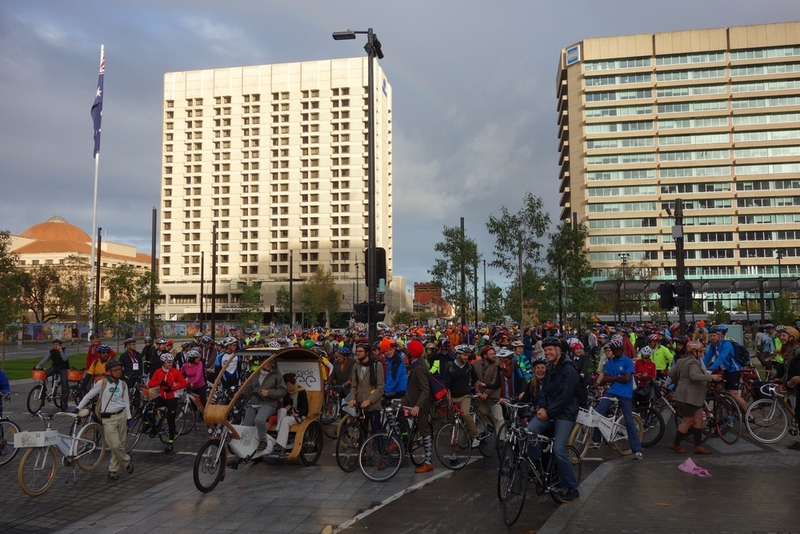 The Velo-city 2014 conference was held in Adelaide, the first time that this global event has been held in the Southern Hemisphere. And what a fantastic conference it was. Given its great reputation, it attracted a huge number of Kiwis (Axel Wilke of ViaStrada compiled a list of 49 names) of an overall attendance of around 600. The conference was held from 27 to 30 May at the Adelaide Convention Centre. It featured an outstandingly large number of keynote speakers (we counted 28 of them), and some of them were truly inspiring. 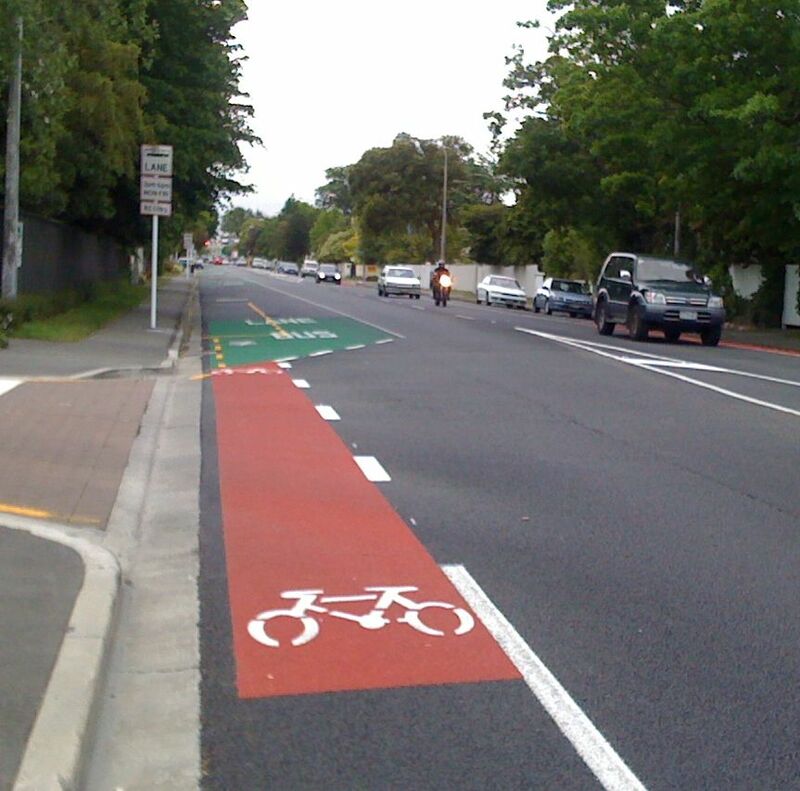 ViaStrada was commissioned by Austroads to undertake research into the effectiveness of on-road bicycle lanes at roundabouts in Australia and New Zealand. 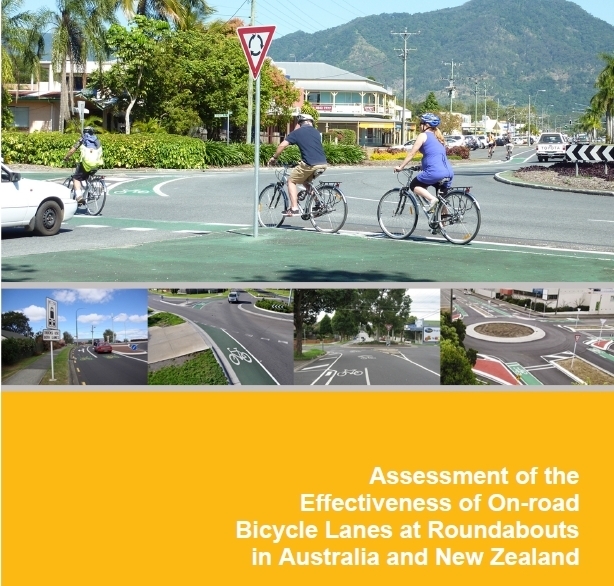 The resulting Austroads report was published this month and documents the research undertaken. 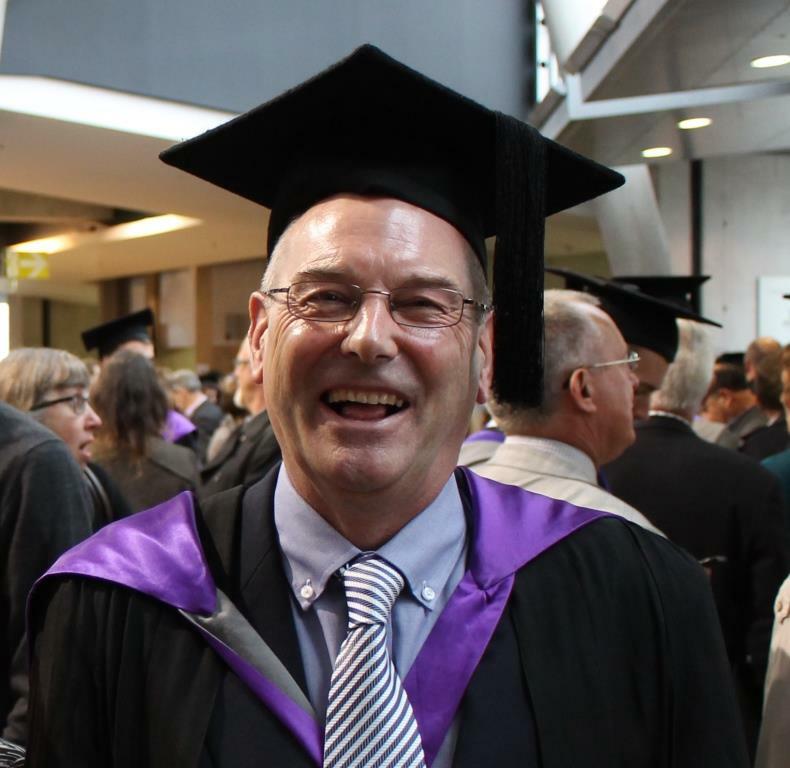 ViaStrada's Jon Ashford was recently awarded his Master of Engineering in Transportation from the University of Canterbury. Jon, an associate and senior engineer at ViaStrada, has six years' experience in traffic engineering together with over 30 years' experience working in the consulting engineering environment. ViaStrada's Axel Wilke is a member of the NZ Transport Agency's recently announced cycle safety panel. The panel, which aims to improve cycle safety for cyclists in New Zealand, was formed following a recommendation made in November 2013 at the conclusion of a coronial review of cycling safety in New Zealand. The Transport Agency selected a group of ten New Zealand-based experts to develop recommendations for making the country’s roads safer for cycling. 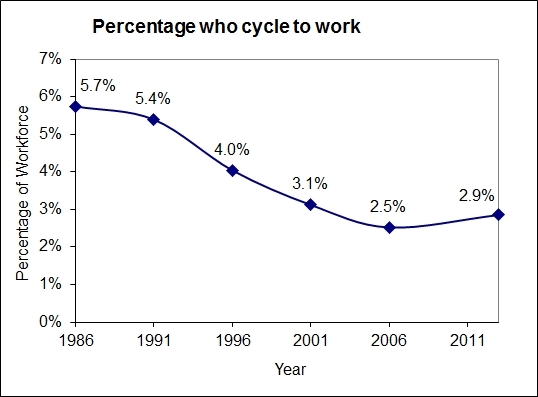 Statistics New Zealand has released the 2013 travel to work census data, and cycling participation has increased since the previous census was taken. In 2006, the proportion of people cycling to work on census day was 2.5% nationwide. By 2013, this had increased to 2.9%, which represents an increase of 13%. Staff working for road controlling authorities or consultants should recognise this increase in popularity, and if there are gaps in your professional knowledge, attending one of our training courses might be a good idea. The ViaStrad a office will close for the holidays on Tuesday 24 December and reopen on Monday 6 January 2014. We wish you a safe and happy holiday and look forward to seeing you in 2014. 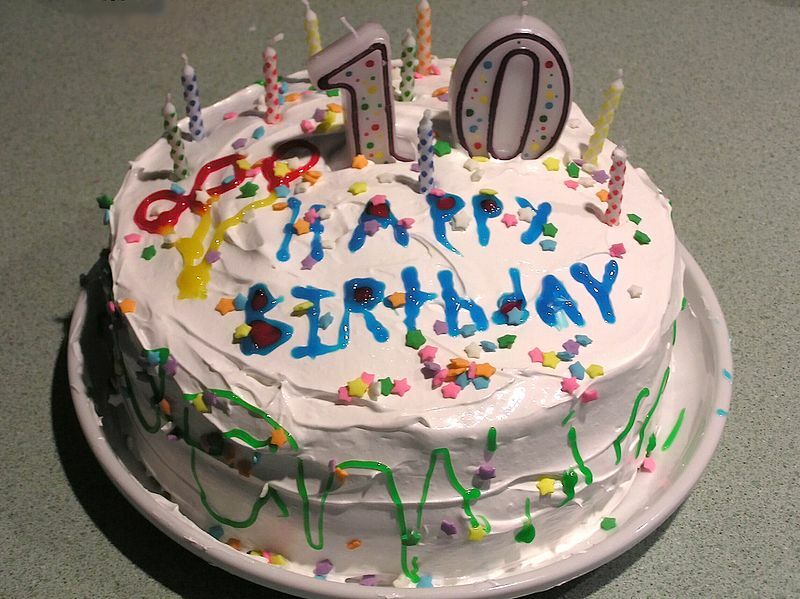 The Fundamentals of Planning and Design for Cycling course is about to turn 10. The brainchild of Axel Wilke was first taught on 3 June 2003. A detailed history of the course, including how it fitted into the transportation planning system back in the early years of the new millenium, and what has been achieved through the course, can be found on our website. As at mid-2013, 812 people have attended the course over 48 training courses so far.